Testing – Hartline Supply Inc. 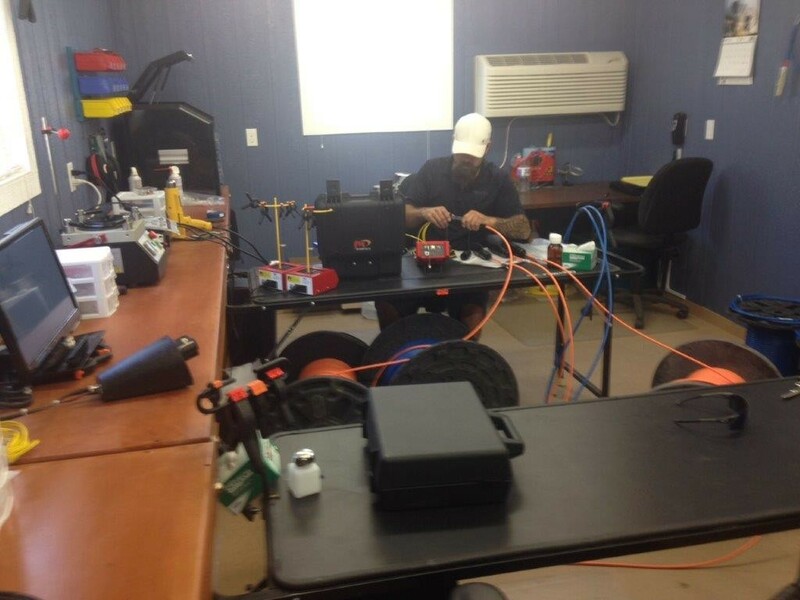 The technician is using a test box with two 1000 FT cables mounted inside the box. One is Multimode cable and the other is a Singlemode cable. He then connects the OTDR to the appropriate 1000 foot test cable. 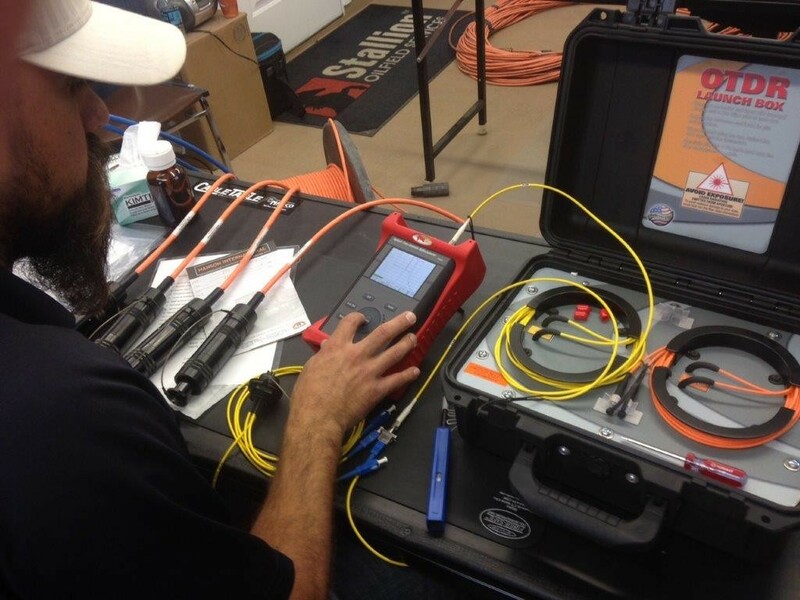 These 1000 foot launch test cables attach to the cable that needs to be tested giving the most accurate data information reading and is one of the best tests to perform on a fiber cable. 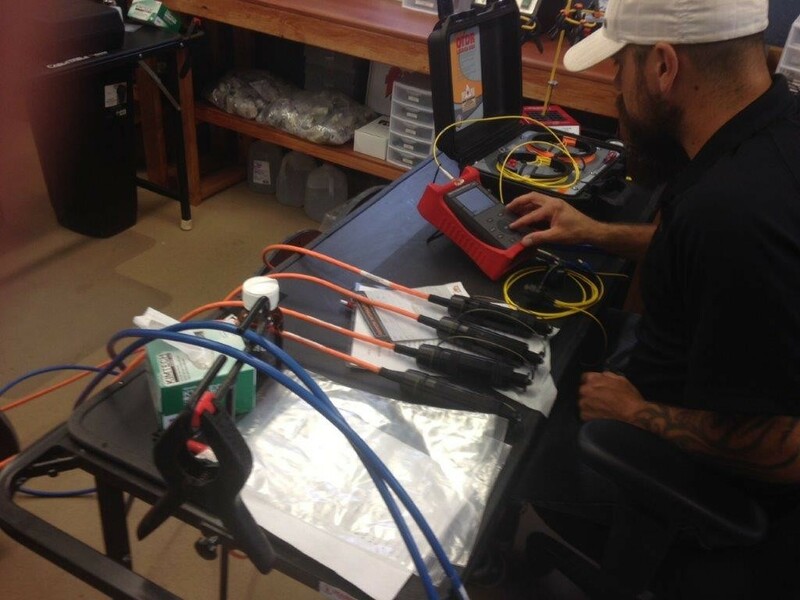 The technician is in the process of proof testing TFOCA II connector cable assemblies with the OTDR. More quality control Testing cables with the OTDR.